The recent news that Carnival Corp & plc was forming a new Chinese-based cruise line was followed last week by an announcement from Carnival Cruise Line that it would be moving its own 2,124-berth Carnival Miracle to China in 2017, to be followed in 2018 by the 2,974-berth Carnival Splendor. Elsewhere, statistics published by the Montreal Cruise Committee last week emphasised a weakness in the Canadian cruise market. The much smaller country of Australia, with a population two-thirds of Canada’s, and located 10,000 miles away, produced more passengers through Montreal this year than Canada could. 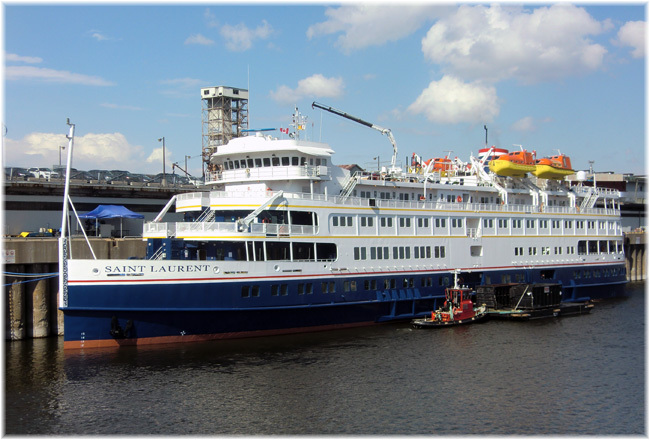 Meanwhile, in a surprise move, Variety Cruises announced that it was taking over the 34-berth small ship Callisto. Following last week’s story (2016 & 2017 Big Years For China Cruising), Carnival Cruise Line has announced that it will commit two ships to the China market, beginning with the 2,124-berth Carnival Miracle (built 2004) in the spring of 2017 followed by the 2,974-berth Carnival Splendor (2008) in spring 2018. Both ships will be China-based year-round. 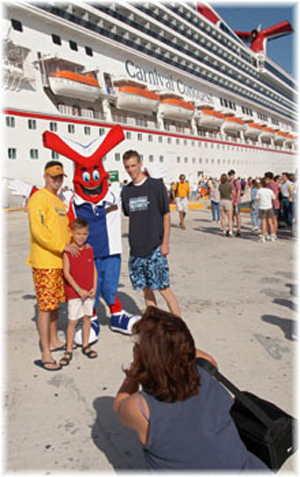 Carnival Miracle and Carnival Splendor will offer all the experiences Carnival is known for, with service and hospitality delivered in an informal atmosphere. 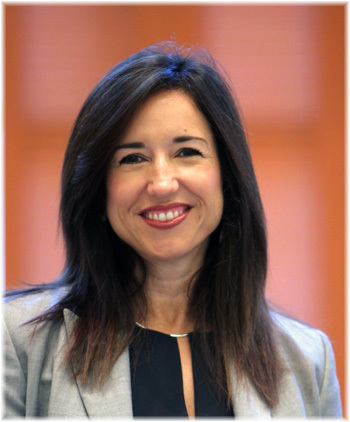 “Carnival is the world’s most popular cruise line and our style of cruising appeals to guests of all ages and particularly families,” said Christine Duffy, president of Carnival Cruise Line. Carnival’s cruise experience involves an interactive and participatory style of holiday that brings guests together with a well-trained and motivated onboard team. As the worldwide leader in providing cruises of three to five days, Carnival’s extensive experience in shorter duration cruises will be invaluable in providing China with a similar product. Details on the company’s China itineraries will be announced later. Carnival Miracle is a Carnival Pride class ship and notably spacious given its more limited guest capacity (2,124), with a passenger space ratio of 40.5 gross tons per passenger. More than 60% of accommodations feature a private balcony. There are four swimming pools with a magrodome over the main pool. Carnival Miracle’s two promenade decks offer many locations for gathering with friends and family, playing games or enjoying a host of other activities. Enhancements added this year include the Red Frog Pub, featuring music and entertainment from the Caribbean. The Alchemy Bar was added as well, where skilled bartenders create custom drinks on demand. Carnival Miracle offers extensive facilities for children, including an expansive water park, while for adults, Serenity is a private and comfortable outdoor area restricted to guests age 18 and over. She also features an outstanding steakhouse. Several areas, including the casino, shopping and dining facilities, will be enhanced to cater for Chinese tastes. Carnival Splendor, which enters the China market a year later, is one of Carnival’s 100,000-tonners, and boasts features similar to Miracle, including an outstanding array of dining and entertainment options. Like the Miracle, the Splendor has four swimming pools, one of which can be covered by a glass magrodome, plus seven whirlpools, a Serenity area and dedicated facilities for children. 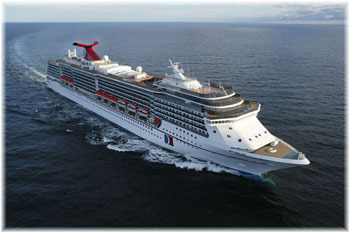 The passenger space ratio on the larger Carnival Splendor is 38.1 gross tons per passenger. She was originally earmarked for Costa Cruises before being allocated to Carnival. Carnival will establish its China operation in partnership with sister company Costa Asia, which has been active in the Chinese market for nine years. Reservations for the Carnival Miracle are expected to open in 2016. Parent company Carnival Corp & plc last week also announced that it would bring its AIDA Cruises and Carnival Cruise Lines brands to China when they join Costa Cruises and Princess Cruises in 2017. The first Carnival ship will now be the Miracle. While Costa and Princess each bring one additional ship to the trade next year, bringing the group total to six, AIDA Cruises will contribute another ship in 2017. 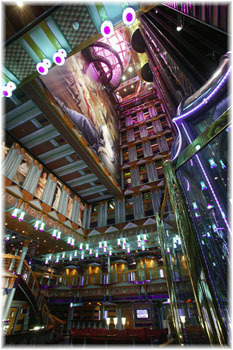 Along with the first Carnival ship this will bring the group total in China to eight. Australians Outstrip Canadians In Their Own Port! Montreal’s cruise season opened in May with the 210-berth Saint Laurent and closed last week with the 490-berth Seven Seas Navigator. In all, Montreal recorded 73 cruise ships visits this year, 29 more than 44 it received in 2014. Preliminary figures indicate that more than 92,000 passengers and crewmembers transited the cruise terminal this season, a near 30% increase over 2014 and a 94% hike since the creation of the Montreal Cruise Committee in 2011. 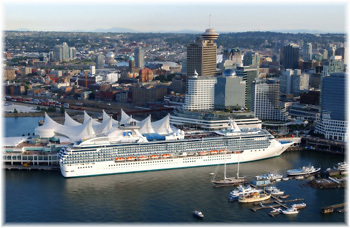 The committee was established with a brief to attract more international cruise lines to the Canadian port. The St. Lawrence River cruise season generally runs from May through October, with the busiest months being September and October, for the autumn leaves. According to data collected by the Montreal Cruise Committee, clients are primarily American (72%), Australian (8.5%), Canadian (7.5%) and English (4.5%). Although Montreal has adopted the bad habit of counting crew members along with passengers, the cruise lines regard crew as a cost centre and passengers as a revenue centre. If we take a ratio of say 2.5 passengers to every crewmember, then 92,000 represents about 66,000 passengers and 26,000 crew. Reducing the passenger number further means about 5,600 Australian passengers outnumbered the roughly 5,000 Canadians who took a cruise over Montreal by 12 to 13%, which is quite ridiculous. Montreal is inside in a country with a population of 35 million, while Australia has only 23 million. And Sydneysiders have to travel 10,000 miles to get to Montreal! Essentially, this research means the number of Canadians cruising through Montreal numbers only one in every 7,000 of the country’s population and the nearby Americans outnumber them almost ten to one. Perhaps as well as attracting foreign cruise lines, the Montreal Cruise Committee should start work on attracting more domestic passengers to their local port, which is just down the street, along the highway or less than a half-hour drive away from Trudeau Airport. By comparison, this year Vancouver is expected to handle some 805,000 cruise passengers to Montreal’s 66,000, or about twelve times as many as its St Lawrence sister port, with 228 calls compared to Montreal’s 73. 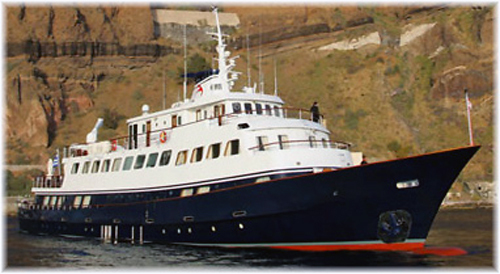 In an interesting move, Variety Cruises has announced that it would be acquiring the 34-berth motor yacht Callisto, a ship that in the past has worked for the former Travel Dynamics International in New York. After Ponant Cruises took Travel Dynamics over last year, it had plenty of ship capacity available within its own group and no longer needed the small ships it has been using previously. Between April and October 2016, Callisto will cruise in Greece and the Aegean Islands as she operates the line’s 8-day Classical Greece itinerary programme alongside the same company’s 50-berth Harmony V, which was completed to order in 2003. The Callisto will then offer Costa Rica & Panama Canal itineraries from December 2016 to March 2017. These 10-day cruises will visit destinations such as Punt arenas, Shelter Bay Marina and Gating Lake.